See online photos of BSI Dinners, explore the BSI Archive, listen to reminiscences of BSI members, and learn about BSI history. Peter E. Blau’s invaluable monthly Sherlockian newsletter is available online for free. Judith Freeman has produced an incredibly helpful paper with many practical, essential tips for starting and running a Holmes group. 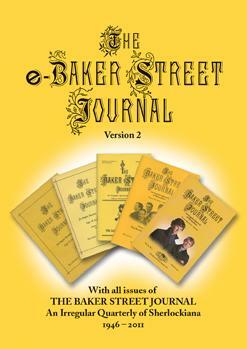 For those of you who have purchased the e-Baker Street Journal (eBSJ or BSJ on CD-ROM) and wish to get some “insider’s tips.” Randall Stock provides some time-saving tricks to get the most out of your eBSJ. Ron Fish maintains a web page with details on Sherlockian events around the world. There is also a Google Calendar version. The ultimate site of Sherlock Holmes-related links. Just about every link you could imagine. 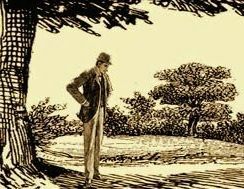 Open to anyone with an interest in Sherlock Holmes, the SHSL has published the Sherlock Holmes Journal since 1952, offers a free newsletter, and organizes Excursions. Sherlocktron, a collection of links, including invaluable lists of Baker Street Irregular investitures and other items. DeWaal’s Universal Sherlock Holmes bibliography on-line and searchable via the University of Minnesota.